Betula is the scientific name for Birch – I probably don’t have to explain that birches are my favourite trees! They always look like the ghosts of the forest with their papery white bark and dark blotches. 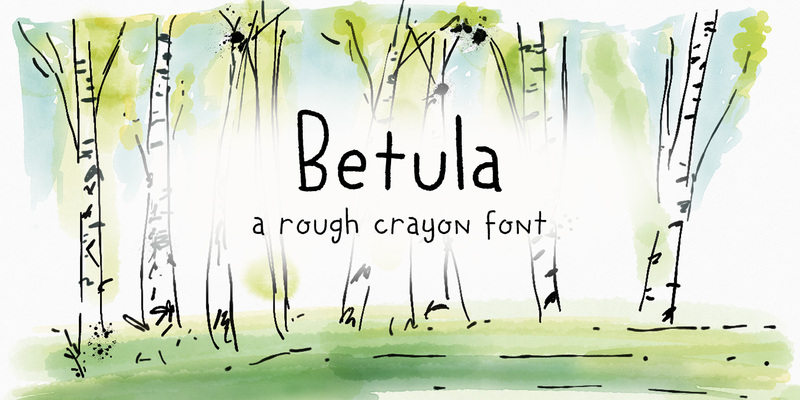 Betula is a rough, crayon-like font. Very legible with a childlike appearance. Comes with a forest of diacritics.